Dental specialties: when can you expect to be referred to a specialist? Dentistry, like medicine, has dental specialties across various fields. All of these specialists would have undertaken formal postgraduate courses to qualify them and enable them to be registered as such. The GDC (General Dental Council) maintains a register of accredited dental specialists in the UK. Those with foreign training are evaluated and may also be accepted for accreditation. What are these dental specialties? This relates to the movement of teeth within the jaws, utilising braces, wires and increasingly ‘aligners’. Orthodontists often work with oral surgeons providing combined treatment when jaw surgery is considered, for example when one jaw is considerably too far forward or back relative to the other. This specialists deal with surgery of the oral cavity, generally in relation to complex tooth or cyst removal, wisdom tooth extraction, etc. The much more complex surgical procedures (often those including treatment with an orthodontist) may require the services of a maxilla-facial or craniofacial surgeon. Such a specialist is most likely to have both dental and medical qualifications as well as postgraduate training in this field. Specialists in this field carry out root canal treatments, often complex ones as well as any localised surgery that may, on occasion, be required in relation to the roots of teeth. This involves treating diseases and consequences of such diseases of the gums, more so than the teeth themselves. Periodontists often also carry out the placement of implants, although not usually the restorations (crowns, bridges etc.) that are placed onto the implants. This is the dental specialty with the ‘widest ‘ sphere of application. These individuals deal with dental reconstructions (the more complex and complicated dental restorative treatments, the bite (function) of the dentition. They would be involved in provision of crown and bridgework, dentures, implant restoration. This relates to the dental care and treatment of children, ranging from infants to early teens generally. At present there is no accredited specialty that relates to implant placement. 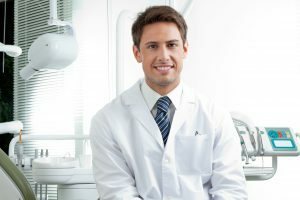 There are however a multitude of postgraduate courses that train both general dentists and specialists (periodontists and oral surgeons) in these techniques, some of which can be quite complex and need more advanced implant training. Dentists without training should not be placing implants in patients . This is also not a recognised ‘specialty’ within Dentistry. Some dentists are interested in and are good at providing solutions to ‘aesthetic problems’ and some carry out further training courses in this field. It needs to be pointed out that many procedures that are carried out by specialists are also provided by general dentists and there is not anything, necessarily, wrong with that. This is provided that the general dentist has the expertise and experience to carry out such a procedure and this usually involves quite a degree of postgraduate training; even if not, such that it results in gaining a specialist accreditation. Although, generally it would be a general dentist that would ‘refer’ a patient to a specialist, it is not uncommon that patients will sometimes locate a specialist themselves and approach him or her directly. This is particularly common in the field of orthodontics for example. So , from a patient’s perspective , what are the circumstances in which a referral to a specialist is likely or should be expected? Obviously when there are gross problems of misaligned teeth in the jaws and/ or a mismatch in relative size and position of teeth and/ or jaws relative to each other (Orthodontist). When badly impacted wisdom teeth need to be removed that would necessitate a difficult surgical procedure to remove because of issue such as access, position or proximity to vital structures , such as proximate nerve bundle (Oral Surgeon). When the dentition is particularly ‘broken down’ or very badly ‘worn down’ ( due to long term night-time tooth grinding ) and a lot of re-constructive treatment would be required , possibly ‘altering the bite’ (Prosthodontist). When a small child needs dental care and is difficult to manage (Paedodontist). When there is rampant gum disease that is causing particularly, supporting bone loss around teeth and so, threatening their ‘survival’(Periodontist). A general dentist, making a recommendation for referral to a specialist, should do so on the basis of what is ‘appropriate and best for the patient’, in the context of their own level or constraints of experience, expertise and training. Subscribe to our newsletter & download your free Guide to Aesthetic Dentistry.